77 pupils received a GOLDEN TICKET from the Lion Challenge in recognition of achieving over 98% attendance this term. Well done. Llongyfarchiadau. We will be recording the dress rehearsals tomorrow to put on the Blog. Please ensure that your child has their costume in school tomorrow. 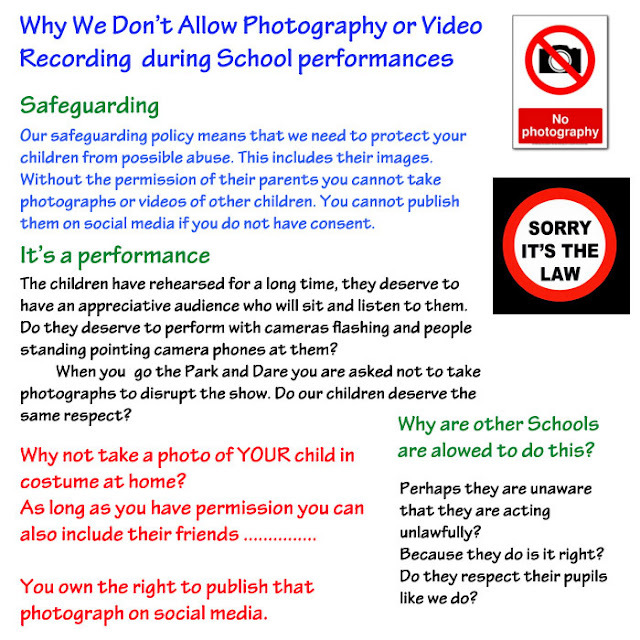 May I remind parents that photography is not permitted during our performances. Our policy is outlined below. Schoop messages now automatically on our Twitter page @gellipri. Parents can now purchase additional concert tickets for all performances. Contact the school office. Please share this letter with everyone who needs to be informed. Parents, carers, grandparents, childminders etc. 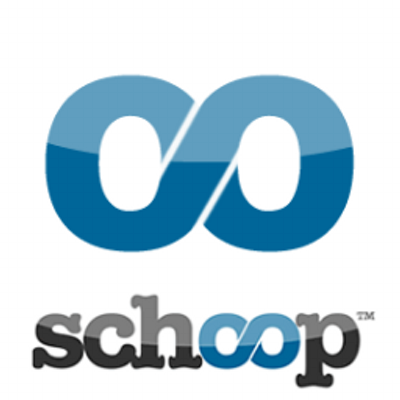 Gelli Primary School is proud to announce that it is one of the very first schools to adopt a new app for schools called Schoop. Schoop will improve the way we communicate with you and our school community. With your valuable involvement, your children’s education and the whole school will benefit. 3. Select your preferred language, if applicable. 4. Click CONFIRM, and you’re in the loop! This will be an exciting way to keep in touch with what’s going on in school brought straight to your smart phone. Da iawn Charlie, you have never interrupted Miss Davis, What a role model. A BIG THANK YOU to Keesha and her family for doing a Bake off an selling cakes at he mum's workplace. This raised £102 towards supporting the Year 6 residential trip to Abernant in April of next year. 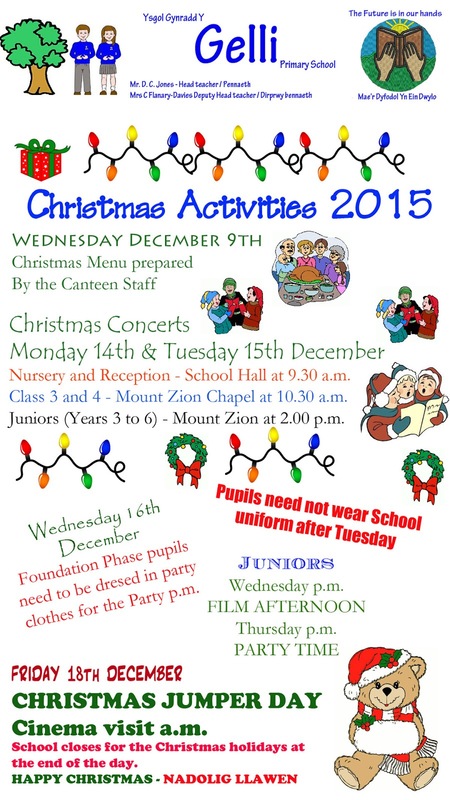 Year 6 are also holding film nights over the next few weeks. Well done everyone. Natalia, Molly, Ebony Niall and the two Ben's. I've just receive an e-mail from Shelley Bird and PCSO Cherylin regarding the work of our Junior Road Safety Officers during last week's which I'd like to share with you. We are just writing to express our sincere thanks for all the help and support that we received from yourself, your staff and all of the Gelli Primary children, especially the JRSO’s during the Road Safety Campaign. The campaign was a massive success with 49 Partner Agencies working together to raise awareness of road safety issues in the communities of Ystrad, Gelli, Pentre and Ton Pentre. During the week, residents and children took part in various activities and demonstrations that were all centred around re-educating people on the hazards of speeding, dangerous driving and illegal parking. It was a fantastic team effort and the JRSO’s from Gelli Primary were a total pleasure to work with and impeccably behaved throughout and were a credit to the school. I was specifically asked to pass on to yourself how wonderful the children were by an older resident from Ty Dewi in Ton Pentre. A massive thanks again for your help and support during the campaign. 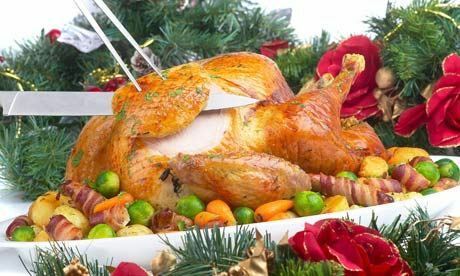 The Canteen staff will be preparing a special Christmas Dinner for the pupils on WEDNESDAY 9th DECEMBER. Please will you pay for this on Monday along with any other meals for the week. Hoverboards and Segway - The law. A letter outlining arrangements for the Christmas Carol Concerts will be circulated by pupil post today Tuesday December 1st. If your child is not in school a copy is available from the class teacher on their return. Tickets have been allocated for every performance and you will be able to reserve and collect them from Mrs Thomas in the school office from Friday 4th December until Wednesday 9th December. After that date any spare tickets will be allocated on a first come first served basis. The school website will be updated over night and copies of the letters will be available to download by following the link here.